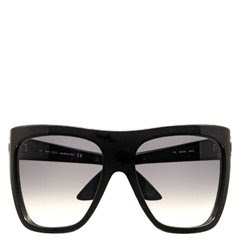 Not that I really should be investing or looking at sunglasses -- considering the climate dropped about 10 degrees from yesterday in my fair city -- but I saw these pair of Jimmy Choos on a model yesterday and couldn't get them out of my head all night. 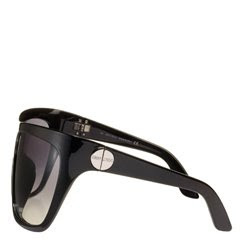 They're called the "Boo", in all their black-framed and grey tonal-lensed gloriousness. They might as well have "glamourous" stamped on them. Too bad I won't have them for the weekend, as I'm flying to L.A. to cover the Hollywood Life Style Awards this Sunday night. I could've made like Victoria Beckham and rocked sunnies on the red carpet, three-quarter turn pose in full force. I'm Lovin' it: I wish my entire closet consisted of Isabel Marant. 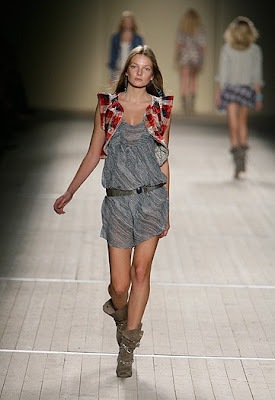 There wasn't a single thing in her cowgirl-slash-rocker Spring '09 collection I could say one negative thing about. See, even right now I'm speechless. I'm Over it: So. Damn. Sore. Today. Running with TC last night was quite the workout, especially since one of his strides equalled two and a half of his. Yeow. Even my abs hurt. But it's a good kind of hurt. 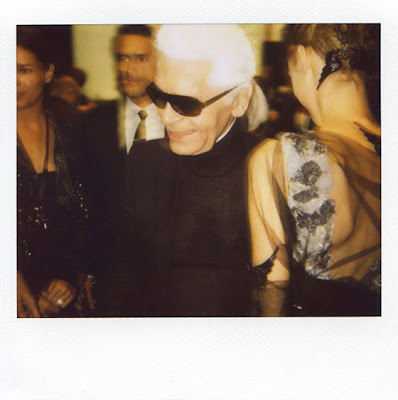 From Kost to Kost: Jeremy Kost snapped Kaiser Karl smiling! He's all gums and no teeth! Track of the Day: And If You Go by GIRLS (nyc) from New York, New York. 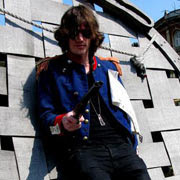 Shake it to the haunting vocals and fast-paced instrumental goodness, courtesy of Johnny and Mikey. can't get enough of Isabel Marant!